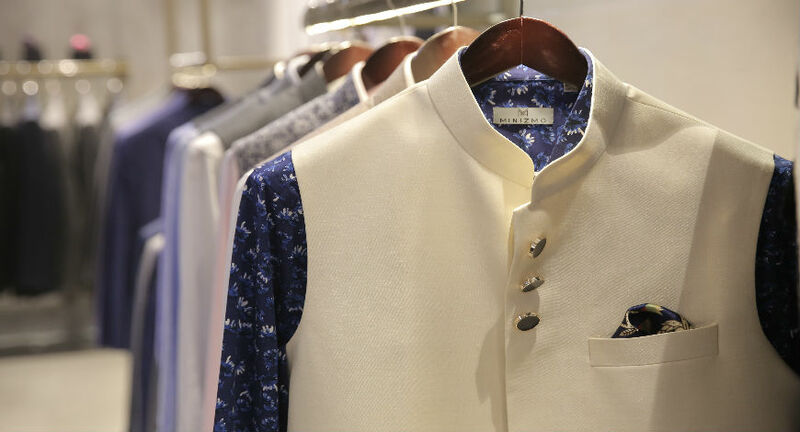 Founded in July, 2017 by Rohan Khattar, New Delhi-based Minizmo offers ready-to-wear and custom-made menswear with an option for ‘made to measure’ clothing. The rise of the fashion industry not just brought in some glamour but the way celebrities dress was a major change. Today, consciousness about what you wear and how you wear has increased tremendously. With the individuals getting inspired by the way celebrities dress, celebrities need to be more aware of their personal style. With celebrities travelling extensively nowadays, there is homogeneity amongst them irrespective of geography and demography. They are all looking for well-made shirts, suits, designs to fit their body. In making sure that these celebrities stand out from the crowd the stylist plays a major role too as they are the ones who are always on a look out for something new and unique. Another thing that has helped the rise of the bespoke market is the digital influence which has made men wants to dress well and carry a distinctive character. According to data from consulting firm KPMG, men’s formal apparel market in India was estimated at Rs. 445 billion in 2015 and is expected to grow at a compounded annual growth rate (CAGR) of 10% between 2015 and 2025. In 2014, menswear grew at a faster global pace than womenswear – up 4.5% versus 3.7%. And by 2019 menswear is expected to reach $40 billion in worldwide sales. Delving deep into the Indian roots, and yet retaining the uncompromising standards of international menswear, Minizmo is the perfect option for the man looking for high fashion and made-to-measure charm. The design aesthetic takes into account the unerring quality of fabrics and construction; all coupled with a mastery of pattern making, they come with a strong backend sourcing where one can choose from a wide range of fabrics and designs. They offer customization of clothes and personalised customer service and not to forget the home visit services by Minizmo gives everybody a chance to explore and experience made to measure with advantages of having intricate details in the garment with top notch of fabric and construction. New Delhi-based Minizmo offers ready-to-wear and custom-made menswear with an option for ‘made to measure’ clothing. A new venture founded in July, 2017 by Rohan Khattar, a Masters in Marketing, Aston University, UK and Devender Gupta, Managing Partner, Asmara Group. They have recently launched their website, Minizmo.com, which will cater to a larger segment of the market and to the online buyers and is evolving. Once Rohan completed his education he worked as a management consultant at Accenture strategy. It was his management skills that helped bring the start-up to life. Minizmo was an idea that was born out of passion and fills the necessary gap in the Indian market. From the Inceptra Lifestyle eco-system, Minizmo adds to the portfolio of the established brands from the group, like Tom Tailor, Loom Tree, Lyla among others. It has recently launched a flagship store at DLF Promenade, Vasant Kunj with two more stores in the pipeline in NCR and will soon be expanding to more locations. The company offers a gamut of options from suits, blazers, shirts, Nehru jackets, Bandhgalas, formal trousers, chinos and basic T-shirts for the modern Indian man. 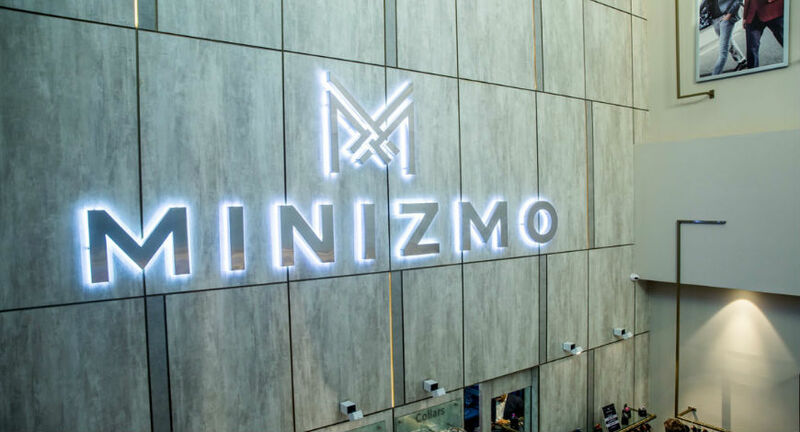 Minizmo also plans to give franchise after having more than 5 stores, and look forward to raise external funding after completing a target of 10 stores in Tier 1 cities. Minizmo has generated over Rs 1 crore revenue since its launch and have a projected sale of Rs 5.1 crore for financial year 2018-2019. One can avail Minizmo’s services by way of personal appointments and from a personal made to measure collection. To bring this together, Minizmo has also set up “home visits”, which will help their clients put together the right wardrobe for any occasion. The network is staffed by experts who measure each customer for the perfect fit and stylists who are trained in the intricacies of fabric and guide each customer through design options. “While trying to find a well fitted suit and shirt, I was only able to choose between a traditional tailor store or a luxury brand. There was no standalone brand that was able to give me a high street store experience for customised clothing and that is when I identified a gap. We took inspiration and best practices from international brands and we conceptualised Minizmo. Our target was to create a best in class experience for the Indian Man, by bringing a complete personalised experience with a wide range of fabrics and an emphasis on quality and design. 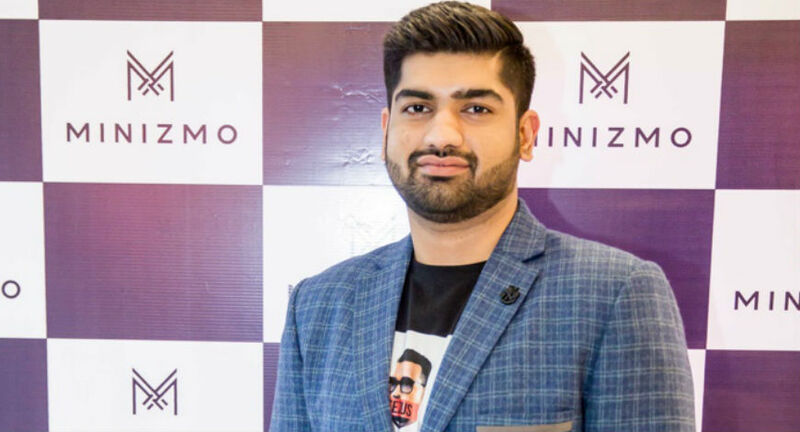 Getting an accurate fit is one of the top priorities for us and we are able to do so using some of the most advanced pattern making and rendering technologies behind the scenes”, says Founder, Rohan Khattar, Minizmo. The brand is currently a bootstrap startup with an initial working capital of Rs 10, 00,000, they have processed over 400 made-to-measure (MTM) orders in a 90 day period between January and March 2018 which is almost 5 MTM orders a day. This is besides their RTW sales (from their single store in Delhi, which they opened in late December 2017). Their MTM customer purchases an average of 2 products during a single order and 35% of their MTM customers are repeat customers. Their repeat customer purchases an average of 3 products during the second or third purchase. The brand did necessary research to understand the peculiarities of celebrity dressing- and used technology to come up with clothes that meet the aspiration of these celebrities. Minizmo’s garments are tailored with handpicked, soft feel premium Indian and Italian fabrics, sourced directly from the top manufacturers and distributors that supply to luxury brands and designers. The company uses durable fabrics, keeping in mind the busy lifestyle of today’s men and the different occasions that men need to dress up for, promising premium products that justify the price tags. There are a lot of brands that are into Bespoke clothing today and are reaching to a much larger segment of customers, huge influence on tailored outfits has compelled today’s men to try power dressing. With the new age work environment and tech industries people are breaking free from the monotonous dressing norms and are trying to bring in a change in their overall personality. The vision of complete customization for different body types is something every man is interested in. Minizmo strives to automate the processes in bespoke section providing with the best fits, cuts and silhouettes and aims to become the destination for men seeking finest menswear.